If you haven’t had a chance to drive past the Maintenance shed lately, you probably haven’t seen the new tractor shelter. Both tractors are now covered and out of the direct sun and precipitative elements. When is the party ? 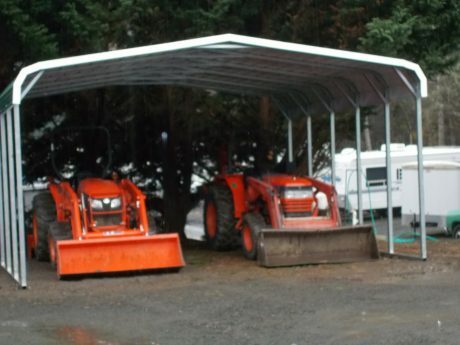 Glad to see the tractors under cover. Just needs some sides and back.